Today’s card is being featured on Stylin’ Stampin’ Inkspiration. 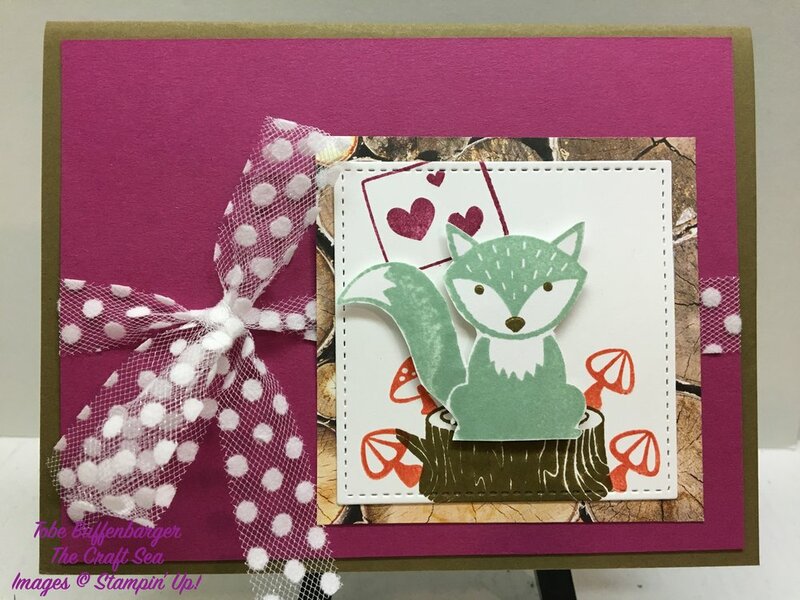 The challenge was to CASE a card from fellow DT member Darla Roberts! After looking at some of her previous cards (so cute by the way! ), I stopped on this cute kitty in a pot card. I loved the simplicity and fun colors of her card. And so I turned to making my own version of her card. Instead of the cat, I pulled out my Foxy Friends stamp set and created my main image. I switched the circles for squares and flipped my orientation. Lastly I kept the Polka Dot Tulle Ribbon because it is my current favorite accessory!